BATON ROUGE -- The Federal Emergency Management Agency has announced a major plan to overhaul how risk is assessed in the National Flood Insurance Program, which could mean major changes for Louisiana homeowners, but details remain murky and state officials say they’re holding out hope for an ultimately positive outcome. 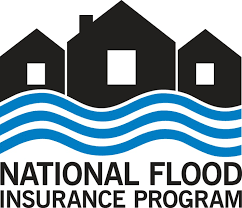 The proposal, dubbed “Risk Rating 2.0” is being done within FEMA’s statutory abilities, so it won’t take approval from Congress, which is discussing a long-term reauthorization of the flood insurance program, through which nearly half a million Louisiana residents are insured. The overhaul would fundamentally change how flood risks are assessed. Instead of the flood plain maps now used, FEMA would be able to assess on a property-by-property basis and will now calculate overall flood risks. FEMA initially planned to roll out the new rates in geographical segments but has switched to plans for a national rollout to all single-family homes to provide more consistency. The new rates will be established by April 2020 and go into effect Oct. 1, 2020. Hecht said he thinks there are some positives in the new proposal, such as the stated goal of more accurate flood elevation maps.